Kicking off our 10th Annual Operation Santa Claus! The Basil Family Dealerships is thrilled to kick off our 10th annual Operation Santa Claus! We are hoping to collect more toys this year than ever before and need your help. 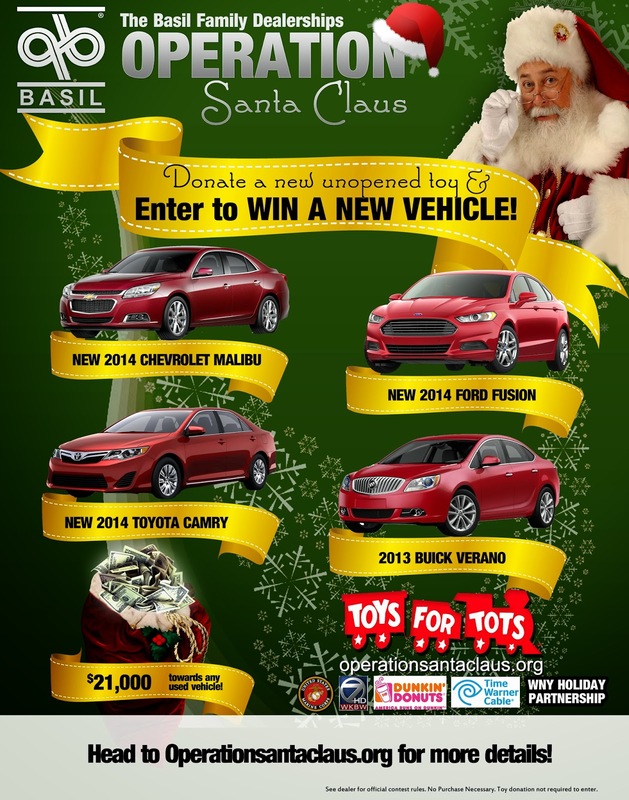 Simply drop off a new, unopened toy at any of the 9 area Basil Family Dealerships. While you're there you can enter to win one of 5 new vehicles! A brand new Ford Fusion, Chevrolet Malibu, Toyota Camry, a Buick Verano or $21,000 towards the purchase of any vehicle at Basil. Thank you and have a Happy Holiday!